Why choose the KoolKap® Heavy Duty (HD) Down-Under Bag? Already adopted by numerous Australian mines with great success, the KoolKap® Heavy Duty (HD) Down-Under Bag delivers a huge leap forward in strength and durability. A customised aerosol gas formula (the only bag to offer this in Australia) designed for different altitudes of up to 6500m, preventing expansion and explosion in order to protect your crew. The ability to load in only 2 minutes and hold for 14 days, with no slippage or damage to the bag, allowing for greater productivity. Durable design in response to harsh Australian weather conditions, making it suitable for use all over the world (including climates of extreme humidity, heat, and cold). Proven performance with zero failure rate and tested heat stability up to 65o Celcius, crucial in hot Australian temperatures. 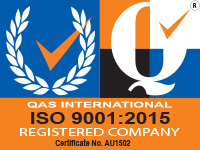 Australian manufacture under a globally-recognised Quality Management System ISO 9001, with the ability to customise bags in a range of sizes and styles. Non-toxic, low environmental footprint with a Global Warming Potential of only 1 compared to competitors at 1430. Superior customer support, with a team of Territory Managers dedicated to offering fast, flexible solutions. And, all at a significantly cheaper price than the traditional double-skin alternatives. It’s not often you find a genuinely superior product at a cheaper price, but that’s exactly what we’ve achieved with the KoolKap Heavy Duty (HD) Down-Under Bag. Because the product only uses a single bag, with manufacture taking place right here in Australia, our production process is far quicker and cheaper than traditional alternatives. This enables us to offer the product at a significantly reduced price – delivering both productivity and economic benefits. Ready to try this exciting new technology for yourself? Contact us on +61 7 3376 5999 or sales@prpolymers.com to organise a trial batch at your site or request more technical information.